From relaxing coastal escapes and fun water parks to historic inns and B&Bs, Alabama is home to many great places to visit for a quick weekend getaway. Whether you want to get away from it all surrounded by nature or head to Birmingham, Montgomery, Huntsville, Gadsden, Florence or Mobile for shopping, art, entertainment and restaurants, there are many excellent options to choose from. We have included approximate driving times from Birmingham to help you plan your trip. 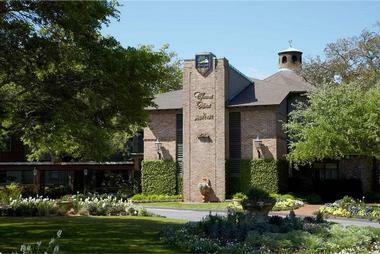 Grand Hotel Golf Resort and Spa is located in the charming small beach hamlet of Point Clear, near Fairhope, Alabama. The resort offers entertainment and relaxation opportunities to guests of all ages and interests. 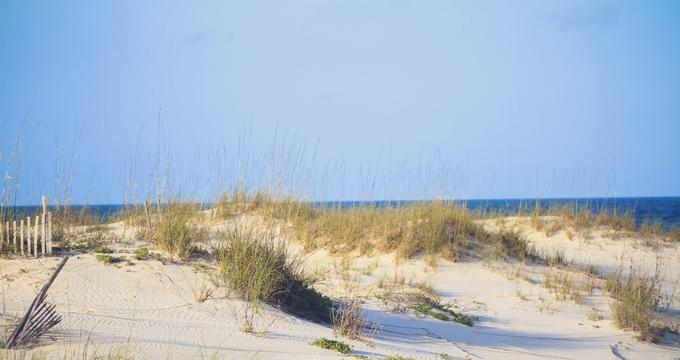 There are two excellent golf courses, a part of the Lakewood Club, the 20,000-square-foot Grand Spa, a fantastic pool complex that kids love, ten tennis courts, and miles of white sand beaches stretched along Alabama's beautiful Gulf coast. Dining offers include the Saltwater Grill seafood restaurant and the Grand Steakhouse for meat lovers. The rooms and suites are elegant and beautifully decorated with full range of modern amenities such as free Wi-Fi, LCD TVs, a coffeemaker, a refrigerator, and a work area with an ergonomic chair. The rooms have magnificent views of Alabama's Mobile Bay or the lively marina. The Fort Conde Inn is a historic inn filled with Southern hospitality and charm that gives visitors a glimpse into a bygone era with its Victorian architecture which dates back to 1836. The inn offers a variety of accommodation options that cater to their guests’ individual needs, including eight luxury guest rooms, five suites and two cottages. The rooms are decorated with Persian rugs, antique furniture and original artworks that complement the historic nature of the property. Magnolia Springs offers a romantic retreat on an oak-lined avenue. The B&B offers five rooms and guest suites, all with wood panelling. Spend your days walking around the small community of Magnolia and watching the Magnolia River. There are a number of beautiful nature walks in the area. In the evening, sit on the wraparound veranda and sip a mint julep while watching the great oak trees. There are a number of southern-style restaurants in the area offering home-style cooking and your hosts will be happy to direct you to the perfect one for your needs. In the morning, start your day with a three-course breakfast which includes a number of local specialities such as grits and fresh bay oysters. Rooms start at $179. The Beach Club is a luxury, family-friendly resort for those looking for a fun vacation offering one- to five-bedroom beach view condos and two- to five-bedroom village cottages. All rentals are self-catering and come with a fully equipped kitchen. The spa has four treatment rooms and a full salon to ensure that you are relaxed and looking your best. The Kids Club offers diverse activities such as movies and t-shirt making. An elegant retreat for romantics, Renaissance Birmingham Ross Bridge Golf Resort & Spa is one of the top resorts in Alabama and an easy getaway from the city. 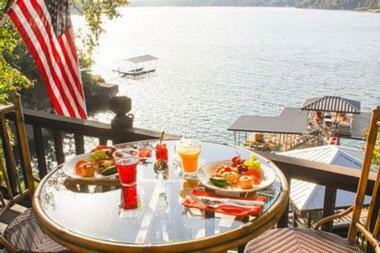 The resort offers 259 guest rooms with private balconies and lake views. You can upgrade to a high level room that boasts scenic views and a private Jacuzzi. Keep fit on the jogging/walking trails, swim in the pool or workout at the gym. Admire scenic mountain views while you play a game of golf at the Par 72 Ross Bridge golf course. The Garden Path Inn Bed & Breakfast is located in the lovely historic 1890 Purcell-Killingsworth residence in a small town of Columbia, Alabama on the banks of the Chattahoochee River between lakes Seminole and Eufaula. The inn has four luxurious rooms and suites with beautiful, classic décor and modern amenities such as Wi-Fi, CD players, iPod docking stations, and private opulent bathrooms. River Rest is a peaceful escape from busy city life and offers guests a country setting on Lake Logan Martin. The B& B offers a choice of five individually decorated rooms with private bathrooms. The rooms are all decorated in a simple country cottage style and some have views of the lake. Relax on the white sandy beach that fronts the property, under one of the colourful umbrellas. Soak in the six person hot tub with views of Lake Logan Martin. Cobb Lane B & B is a romantic Victorian establishment and the only B & B in the charming city of Birmingham. The seven rooms are individually themed and decorated with items from the Victorian period. Each room has a private bath with amenities and cable television in the bedroom. 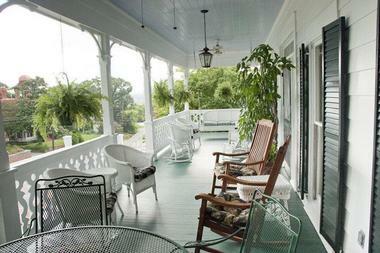 Experience the old world charm of sitting on the porch and having a mint julep or sweet tea. Breakfast is served in the elegant dining room beneath a large crystal chandelier. Your hosts will sit with you at breakfast and help you to plan your day in Birmingham. In the area you will find museums, art galleries and walking trails. The Historic Five Points area is within walking distance as is the Financial District. Just down the road you will find some of the finest restaurants in Birmingham such as the Highland Bar and Grill or Kobe, a renowned Japanese Steakhouse and Sushi Bar. Rooms start at $99 per night. 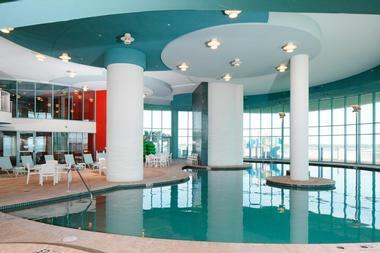 The Grand Hotel Marriott Resort offers luxury family accommodations on the Gulf Coast of Alabama. The 405 guest suites and rooms at the hotel offer all the amenities that you will need on holiday, including private bathrooms. Choose between a view of the marina, bay or the resort gardens and pool. The 20,000 square foot spa offers a range of treatments including couples massages to ensure that you feel relaxed. Enjoy a game of golf at one of the Par 72 Lakewood Golf Club courses at the resort. Kids can participate in arts, crafts and other organised activities at the Grand Hotel Fun Camp for 5 – 12 year olds. The resort has several dining options including, the Grand Steakhouse which offers Angus and Kobe steak, the Saltwater Grill serving seafood and the relaxed Bucky’s Birdcage Lounge offering light meals, cocktails and nightly entertainment. Rooms start at $259. This unique B & B features just three rooms and all guests are made to feel right at home by the on-site hosts. 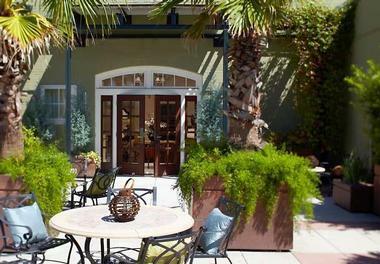 You can choose between a pool side room, French Art Deco room and the Spanish Bay Deluxe room. All the rooms are individually decorated with beautiful antiques and have luxurious private bathrooms. 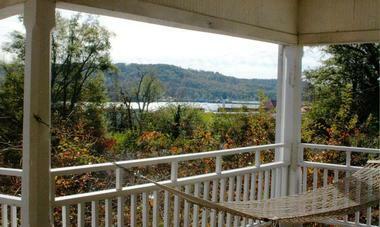 In the evenings, sit on the wraparound porch with your drink and watch the world go by. The B & B features a large swimming pool which is perfect on hot summer days. A meet and greet with the locals is arranged on most nights next to the pool. Berney/Fly is situated in the old part of town and is within easy walking distance of a number of restaurants, shops and historic landmarks. The B & B serves a hot breakfast made to order by the owners on the porch or next to the pool. Rooms start at $89 per night. 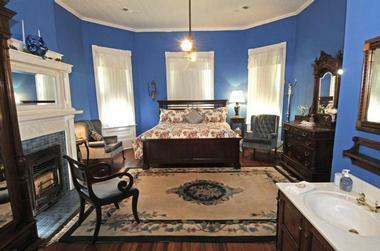 Malaga Inn is situated in one of the historic houses in downtown Mobile and is filled with the charm of a bygone era. Choose between a suite, historic room or courtyard room. All rooms are decorated with period furnishings and features to suit this beautifully restored home. Take a historic tour of the house including the secret tunnels used by soldiers during the civil war. Swim in the pool and relax in this oasis in the heart of town. 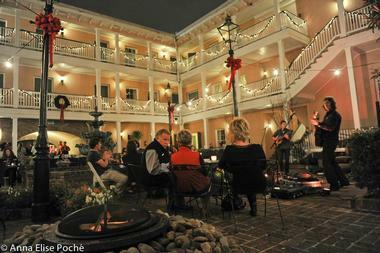 Stroll through downtown Mobile and return to the Inn for a cocktail on the porch. A full breakfast is served in the main dining room of the house or next to the pool on sunny days. There are a number of restaurants surrounding the Inn and you are sure to find one to suit your palate for lunch and dinner. Rooms start at $115 per night. Red Bluff Cottage is a B& B built to look like a Victorian Cottage, allowing you all the modern conveniences within the feel of a historic home. The property has five rooms that are all of different sizes and styles to give guests the type of room that they desire. Some of the rooms can accommodate sofa beds for small children. Have a complimentary cup of coffee or tea and relax in the guest common room with a movie or a book. The Mistletoe Bough Bed & Breakfast offers a romantic experience with a choice of five different rooms and suites with private bathrooms and Victorian-style decor. Relax while taking a stroll through the gardens, admiring a variety of flowers and birds. Sit on the wraparound veranda with a glass of sweet tea or mint julep. Historic downtown Alexander City is a few minutes’ walk from the B & B. A buffet breakfast is served every morning in the Victorian dining room of the house. Complimentary coffee, tea and cool drinks are available throughout the day. There are a number of restaurants within walking distance of the inn. You may also enjoy the local flea market. Rooms start at $109 per night. Don't Miss: Celebrate with a romantic dinner at Spring House Restaurant on Lake Martin which serves delicious rustic dishes prepared in an open kitchen featuring a wood-fired oven. The recently renovated Hotel Winfrey will appeal to travelers who like modern design. The hotel has 329 guest rooms, decorated in modern neutral tones. Choose between standard rooms, king size rooms, regency club rooms and suites. Relax in the luxurious Regency Club with a drink or a cup of coffee. Take a dip in the seasonal outdoor swimming pool, keep fit in the fully equipped StayFit gym or take a fitness class. Explore the mall and gallery adjacent to the hotel. A buffet breakfast is served every morning in the main dining room. The hotel offers a choice of restaurants, including the award-winning Shula’s Steakhouse, Merk’s Tavern and Kitchen, and cocktails at the No Name Lounge. Rooms start at $127. Turquoise Place is an adventure-filled, family-friendly beach resort that offers three-, four- or five-bedroom condominiums with views of the Gulf. Each unit has a private balcony with a Jacuzzi, outdoor grill, modern décor and a kitchen. The resort has five swimming pools, two of which are heated. Spend the afternoon on a tube going down the lazy river. A range of family activities are offered year round such as painting and tie-dye classes. Perdido Beach Resort is a family-friendly resort offering 346 guest rooms with private balconies and views across the bay. The rooms are decorated in a modern beachside style. Play a game of beach volleyball, relax on the dock or workout at the fully equipped gym. Swim in the indoor/outdoor swimming pool and if you are feeling energetic try a game of tennis. The concierge can set up a wide range of activities for you, from deep sea diving to helicopter tours. The resort has a number of dining options, including fine dining at Voyagers, casual family dining at Latitude 30, pizza at the Perdido Beach Pizza Company and poolside dining at the Splashy Bar and Grille. The resort offers a number of themed dining events throughout the summer months. The Original Romar House Bed and Breakfast Inn will appeal to couples looking for a romantic, peaceful getaway without children. The seven rooms are individually themed and decorated. Enjoy a swim in the pool, walk along the beach or relax with a book on the patio. In the evening, indulge in a drink or two with your fellow guests at the onsite Purple Parrot Bar. A hot tub is provided for guest use on the patio and has spectacular ocean views. Full breakfast is served in the inn dining room or on the patio in sunny weather and includes a number of local favorites. Have lunch and dinner at any one of the many local seafood restaurants and steakhouses. The inn only allows guests over 21. Rooms start at $149. 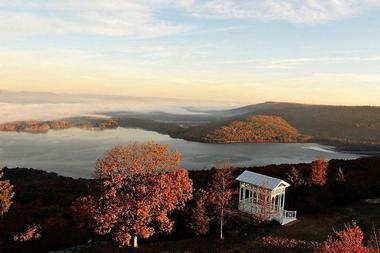 Spectacular views of the Tennessee River and the surrounding land are offered from every room at Gorham’s Bluff. The resort has six suites, situated in the lodge and five separate cottages. Guest accommodations are decorated in an elegant country style and designed to help you relax. Enjoy the natural beauty of the area by partaking in one of the many activities offered by the resort such as hiking, boating and swimming. Spend your days relaxing on the veranda of the lodge, taking in the breathtaking views and sipping iced tea. The lodge restaurant serves a gourmet dinner every night and a full breakfast in the morning. You can get a packed lunch from the lodge to bring along on a day hike or have a romantic picnic on the lawns of the resort. Rooms start at $165 per night. You can stroll to the falls or the bluff overlooking the charming Little River by following a path from the charming Mountain Laurel Inn Bed and Breakfast through seven acres of lush vegetation. This rustic bed and breakfast is located in historic Mentone, Alabama on Lookout Mountain at the base of the picturesque Desoto Falls. All rooms have a private entrance, private bath, TV with a DVD player, and even some fun movies. Each room is uniquely decorated with original arts and crafts from the area. Guests can meet in the gathering place to have a hot drink, have a chat, watch TV, or check their email. Woods around the inn offer fantastic hiking and horseback riding through the dense, rich Alabama woods. The Battle House Renaissance Mobile Hotel & Spa offers spacious rooms with crisp linens, chairs, vanities, air conditioning, and an evening turn-down service. The rooms have private baths and some have separate living and sitting areas. The on-site spa offers a variety of services, including body scrubs, massages, manicures and pedicures and a steam room. A fitness center with cardio equipment and free weights, an outdoor pool, tennis court and a driving range are available on site as well. The Trellis Room offers fine dining and a sophisticated setting, the Royal Street Tavern offers a more casual mood with live piano music, and the Hoe Cain Cade serves handcrafted pizzas and sandwiches. Rooms start at $169 per night. Your suite at Smith Lake Bed & Breakfast comes with a few perks: a free paddleboard, a kayak, a dock for your boat, and direct access to the spectacularly beautiful Lewis Smith Lake where you can fish, swim, or paddle. 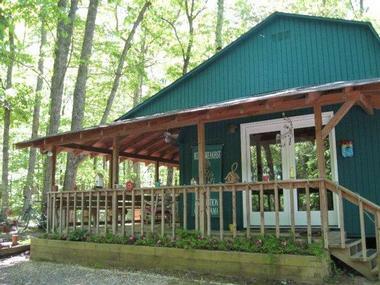 The inn is located 50 miles from Birmingham and is surrounded by dense, mature forests perfect for hiking and exploring. Guests can choose between two lovely suites with all the comforts of home, including a private entrance from the deck overlooking the lake. 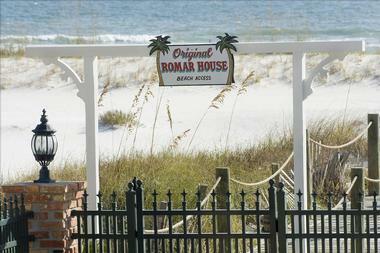 Suites have fully equipped kitchens and private bathrooms and even a barbecue on the porch. For those fond of quirky accommodation, there is a vintage "silver bullet" Airstream trailer which, after many miles on the road, now invites guests to its redecorated, comfortable, affordable lodging replete with striking 70’s decor. From the rural community where it was founded in 1871, Birmingham grew to become an iron, steel and railroading industry center of the South. Today, it is a modern, thriving city proud of its heritage, rich in culture and protective of its wonderful green spaces. See the city’s antebellum past at the elegant Arlington Antebellum Home and Gardens. Hike through the lush Ruffner Mountain Nature Preserve, an area of iron ore mines until 1953. Red Mountain Park, popular for its zip lining adventures organized by the Red Ore Zip Tour, is another former iron mining area. Sloss Furnaces National Historic Landmark is another reminder of the past, the only preserved blast furnace in the country. Visit the Birmingham Civil Rights Institute to learn about the city’s civil rights movement, or stroll through the Kelly Ingram Park, full of wonderful sculptures and monuments, once site of the large civil rights demonstration in the 1960s. A visit to the Birmingham Museum of Art is a must, with its 25,000 art objects belonging to a range of world cultures. If you are looking for unique Alabama destinations, Birmingham is a great place to visit. Leave plenty of time for sampling delicious food at Birmingham's excellent restaurants. Since its incorporation in 1867, Gadsden experienced many ups and downs and was finally revived and invigorated in the 1990s with the renovation of the city’s downtown and building of the modern Mary G. Hardin Center for Cultural Arts. There is always something going on at the Center, which includes kid’s museum the Imagination Place, the Etowah Youth Orchestras, the Gadsden Community School for the Arts and the Downtown Dance Conservatory. Neely Henry Lake was created as the result of building the Neely Henry Dam. Today it is beautiful spot for a picnic and popular among fishermen. Noccalula Falls Park & Campground, with its magnificent 90 foot high waterfall, is the city’s most popular attraction. Take the kids to the Factory, a huge play center for kids of all ages, with arcades, foam pits, laser tag, batting cages and trampolines. Florence is a charming Southern town on the banks of the mighty Tennessee River, with a long, colorful history. Visit the Indian Mound and Museum to see the spear points, tools, jewelry, pipes and pottery that belonged to Native Americans that lived in the area more than 2000 years ago. The Wichahpi Commemorative Stone Wall was built as a reminder of the removal of all Indians of the Yuchi tribe from Alabama to Oklahoma as the result of the Indian Removal Act of 1830. To learn about the next chapter in Florence’s history, visit Pope's Tavern Museum, the oldest house in the area. This museum was once an old inn that was used as a hospital for Confederate as well as Union forces during the American Civil War. The Kennedy-Douglass Center for the Arts and the University of North Alabama will bring you to the 21st century Florence. A place where America's space program was born with the Redstone Rocket, and home of the NASA's Marshall Space Flight Center and the United States Army Aviation and Missile Command, Huntsville is aptly named the Rocket City. A tour of the Rocket Center is a thrill for kids big and small. Another sky-gazing place in Huntsville is Von Braun Astronomical Society with two observatories, a library and a planetarium. For a show or a concert, check the program at the Von Braun Center or at the historic Lowe Mill Arts & Entertainment. Learn about the history of Alabama at the EarlyWorks Family of Museums and enjoy some fresh air at the beautiful Madison County Nature Trail. Take the kids to the Harmony Park Safari where they can feed free-moving zebras and ostriches through the window of the car. Mobile is a large port on the Gulf Coast with an interesting history that colored its present: It was occupied by France, England and Spain until it became a part of the U.S. It is a modern, vibrant city and a cultural center of the Gulf Coast. You can learn about the history of Gulf Coast at the GulfQuest National Maritime Museum of the Gulf of Mexico. The History Museum of Mobile is located in a lovely Italianate villa built in 1857 and offers permanent collections, temporary exhibits and a series of lectures and presentations. Another mansion built in the same period, the Bragg-Mitchell Mansion, is an example of the city’s antebellum architecture and tells the story of life in the Old South. Mardi Gras has 300 years of history in Mobile and you can learn about its origins and heritage at the Mobile Carnival Museum. The Alabama Contemporary Art Center focuses on the art influenced by the Gulf Coast, and the University of South Alabama Archaeology Museum covers 12,000 years of the area’s history.